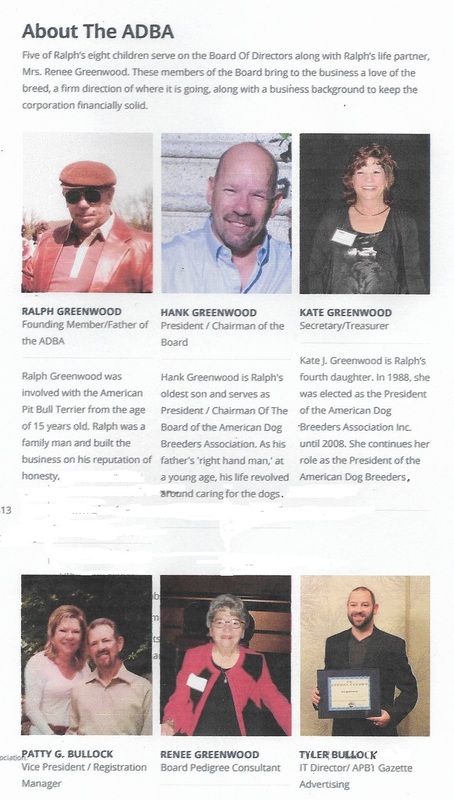 The American Dog Breeders Association, Inc. was started in September, 1909 as a multiple breed association. The residing president, Mr. 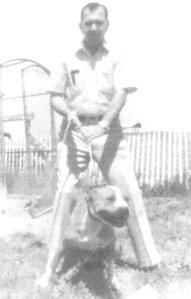 Guy McCord, was an avid fancier and breeder of the American Pit Bull Terrier, and was a close friend of Mr. John P. Colby. 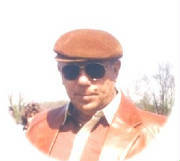 Mr. Colby was the mainstay of the A.D.B.A. which prompted the boast of being the "home" registration office of the Colby dogs. All members, in good standing, could register their dogs and litters with the registration department upon the yearly payment of $2.50 dues fee. It seems that the exclusive member’s idea gradually was replaced into an open registry to all owners and breeders of purebred dogs. 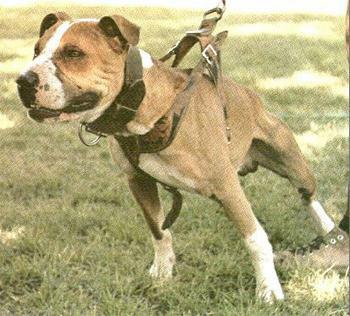 Over time the association became focused on the registration of the American Pit Bull Terrier. The A.D.B.A. passed from the hands of Mr. McCord to Mr. Frank Ferris in 1951. He, along with his wife Florence Colby, (the wife of the late John P. Colby) continued to run the A.D.B.A. on a limited scale, but with ever increasing emphasis on the registration of the A.P.B.T. breed exclusively. In 1973, through the recommendation of Howard Heinzl, Ralph Greenwood and his family purchased the A.D.B.A. from Mr. Ferris, whose advancing age prompted his retirement. 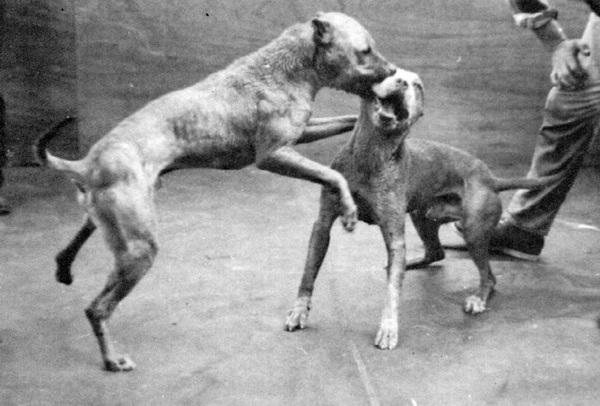 (Mr. Heinzl was a personal friend of Frank Ferris and a staunch supporter of the A.D.B.A., as he registered his dogs exclusively with A.D.B.A.) We often wish Frank could have lived to witness the growth of the present association. He would have been pleased. Our association continues to grow in the USA and other countries overseas. The American Dog Breeders Association Inc. is the largest registration office of the American Pit Bull Terrier and now accepting other purebred dogs, usually working breeds. Beginning 27 October 2006 the registry is opening its stud book to accept other purebred dogs. tree and then wiped the wet sand and mud from his dog's feet and tail. Jimmy Boots is weighed...on weight.. Good going Mr Greenwood,,Halliburton says. literally ShipWrecked each other the first 35min. Mr Carver says. 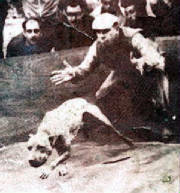 Ed Weldon and the Jimmy Boots dog. The famous Gr. Ch. Strider on the left.